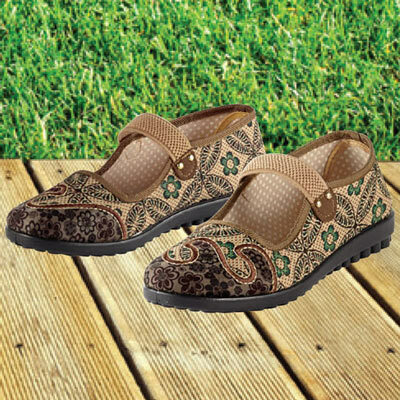 Oh, so comfy in durable polyester, the mix of fabrics on these Pretty Comfort Loafers is a perfect combination. Elastic strap, reinforced heel, cushioned non-slip rubber sole. Imported. Limited sizes. Hurry! Quantities are limited! These shoes are the most comfortable shoes I have had ever, as well as being super stylish. I get compliments everyone I wear them.